The Board of Directors of NHICC, New Hampshire’s Incredible Creativity Connection, is comprised of our volunteer board members and our Executive Director. To empower New Hampshire’s youth to embrace any challenge, and to creatively solve it through perseverance, innovation and collaboration. Anna has over 20 years of strategic leadership and program development experience​ through companies such as Digital Equipment Corporation​. She has extensive experience with nonprofit startup operations and ​has demonstrated her ability ​to adapt basic concepts and bring them to reality. 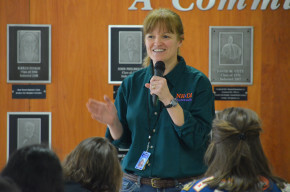 Through her previous nonprofit involvement​ at FIRST​, she led the effort to develop three programs for youth inspiration in STEM offered in over 90 countries reaching hundreds of thousands of children annually. She is passionate about the art of collaboration and achieving positive change in both the local and international community. Anna holds a Bachelor of Arts in Psychology with a Concentration in Business from Boston College. Ellie Stetson is proud to be a teacher. As a teacher, she loves to see that our children and youth are excited about learning, happy, and successful. She supports their sense of wonder, curiosity and inquisitiveness as life-long learners. She is a graduate of Colby College with a major in Mathematics and has a Master’s Degree in Curriculum and Instruction. Recently retired, Ellie is now supervising student teachers from Southern New Hampshire University. Ellie has been involved in Creative Problem Solving and New Hampshire Destination Imagination for more than 15 years as a Team Manager, school and district coordinator, Appraiser, Regional and State Challenge Master, and a member of the Board of Directors. She is currently serving as the chair of the Appraiser Committee, and is a member of the Education and Training Committee. Diana joined the Board in the fall of 2017 after facilitating NHICC’s strategic planning process. As the founder of King Strategies, she delivers consulting services that specialize in translating big picture change into organizational success. Diana brings extensive experience leading training, organizational development, and human resources efforts in both for-profit and not-for-profit industries. She’s partnered with teams across the globe, including an assignment at the American Embassy in Athens, Greece, and had work translated into 11 languages. With an artist mother and a metallurgical engineer father, Diana is very comfortable blending art and science—she holds an accounting degree from Bentley University and an art history degree from Boston College. 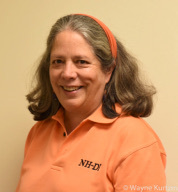 Carrie has been involved with NH-DI and NHICC for 15 years. She is currently a team manager, Regional Director, NHICC Board Secretary, and co-chairs the Outreach Committee. In the past she has served as Gottalikachallenge Camp staff and board Vice President. Carrie works primarily with supporting team managers and coordinators including education, training, and recruitment. Carrie is currently managing her son’s high school DI team. She has been involved in the program for 15 years and 3 children. Outside of NHICC, she is a High School English teacher and enjoys karate, hiking, and playing chief support crew and chauffeur for her son. 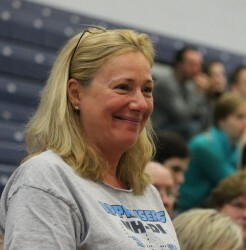 Jeannette has been active in NH-DI for over 10 years as a Team Manager, Appraiser, and DI parent of 3 children, and has accompanied teams to Global Finals five times. Formerly a mortgage banker and business owner, she now manages commercial real estate. 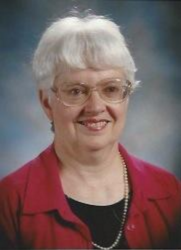 She serves on the fundraising committee, and regularly volunteers, for the nationally known Londonderry High School Marching Band (the Londonderry Lancers), and is Treasurer for BSA Troop 426 in Londonderry. Jeannette also enjoys travelling and spending time with her twins and older daughter. She feels that DI has taught her children new skills, and will continue to open new doors for her children well into their adult lives. Harvey Black has been involved in education for 48 years. He has a Bachelor of Arts (Biology) from Keene State College and Masters Science Degree in Biology and School Administration from Rivier College. He has been a high school science teacher for 21 years, a middle school administrator for 13 years, a high school administrator for 5 years, and an Educational consultant for 5 years. He is currently an Educational Coach at CSI charter School and on the Board of Directors for CSI Charter School. 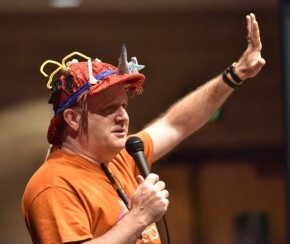 Harvey has served as a Team Manager, an Appraiser, a Regional Challenge Master, Affiliate Challenge Master, and has appraised numerous time at Destination Imagination Global Finals. He has worked with International Challenge Masters to write and dissect challenges for the National Organization. Harvey is currently Chair of the Education and Training Committee, a member of varied committees, and a member of the NHICC Board of Directors. He enjoys seeing the participants learn how to work together, solve challenges and experience success. 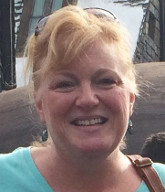 Darby joined the Board in the winter of 2018. As co-owner of a NH technology company, BEI Networks, she is committed to the NH Stay Work Play initiative helping to develop NH as a go-to-environment to study, stay and develop a career, have fun and grow. She is also committed to introducing kids to technology, science and the arts. She has been a DI Team Manager for two years, and looks forward to many years to come with her two children and fellow team members. She is a board member of SEE Science Center; and serves on the board of PRO, an organization devoted to introducing kids, teens and adults to personal responsibility in many facets of life. She blends 35 years strategic alignment in the technology and finance industries with her passion for personal growth. She holds a business degree and law degree from the University of Miami. 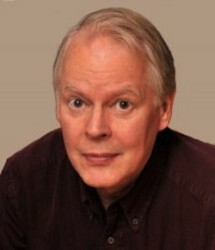 Bob Hammond joined the team in 2017. 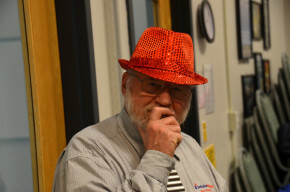 He retired after a 43 year career in manufacturing engineering and operations management, which included six years as the Director of the FIRST Robotics Competition. He has also been an adjunct professor teaching Operations Management. He has served as treasurer for other non-profit organizations and brings an extensive background of budgeting and operational improvement to NH-DI. Bob holds a BS in Mechanical Engineering from RPI and a MBA from Kent State University. He is a past President and has served on the Board of Corporators for the Gordon Nash Library in New Hampton, NH for over 25 years. 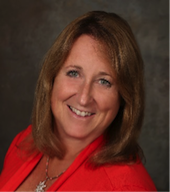 Sandra has been involved with NH-DI for more than 20 years as a Team Parent, Team Manager, Appraiser, Regional Challenge Master, and Affiliate Challenge Master. She has been a member of the Board of Directors since 2008 and has served as Chair, Vice Chair and Treasurer and as a member of the Finance, Concession, Appraiser and Outreach Committees. Sandra has volunteered many times at Global Finals as an appraiser and head appraiser and has accompanied teams to Globals twice. A banker for years, she now manages a locally based internet retailer, regularly volunteers for the Town of Milford and the Animal Rescue League of NH, and enjoys gardening and her many pets. Wayne has been a Team Manager, Appraiser and, as a member of the Board of Directors is responsible for marketing, social and online content for NHICC, including much of the NH-DI photography. He launched social media for Destination Imagination, Inc. and currently volunteers as the photography team lead for Global Finals. Wayne leads the IDC research in the collaboration, social media and experiential practices helping global companies adjust to Digital Transformation. Wayne is an adjunct educator with the University of Tennessee, has writes on social media, analytics, and disruptive technologies – and loves the shiny toys of technology. 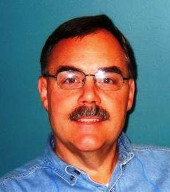 Frank Phillips is the director of the Defense Systems Engineering Organization at BAE. He holds a bachelor’s degree in Computer Science from Rensselaer Polytechnic Institute. Frank has over 28 years’ experience leading, developing and supporting Electronic Systems programs and pursuits at BAE Systems and legacy companies. Frank has also served as the District Chairman for the Daniel Webster Council of the BSA. He also supports his daughter’s Special Olympics team in Merrimack as a coach and her Challenger Baseball team in Nashua. He is married to Nanci Phillips and they have two children: Morgan, a “Super Senior” at Merrimack High, and Matthew, a freshman at UNH. His hobbies include his family, and with the remaining time he enjoys computers, computer games, remote control airplanes and drones. Craig Richardson is a recently retired software engineer with a longstanding interest in education and the arts. As an undergraduate at the Massachusetts Institute of Technology, he volunteered at the Museum of Science in Boston, where he developed concepts for new exhibits. After receiving his degree in Electrical Engineering and Computer Science, he developed computer-assisted instructional programs for medical students and doctors at Massachusetts General Hospital. His career in software engineering has included database projects at Digital Equipment and Wang Laboratories, and work on Internet firewalls at Symantec, where he taught courses in secure programming methods. 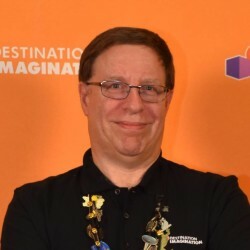 He has been a volunteer for Destination Imagination for many years, and has been an Appraiser, a Team Manager, a Tournament Director, and a Challenge writer. “DI Dan” was first elected to the NHICC Board of Director in July 2005. Dan has been a long-time tournament director, who makes sure that tournaments run smoothly and without a hitch—a feat that he accomplishes with tremendous aplomb. Dan seems to be everywhere at once on tournament days, wearing his signature red sneakers and working with enormous enthusiasm and energy. Dan is our consummate Master-of-Ceremonies, always keeping tournament attendees well informed about everything that is going on, and making sure that every team feels unique and “special” during the awards. Dan has an almost eidetic memory, and is apt to break into song, especially if he needs to improvise during the awards due to an unanticipated delay. Stephen joined our team in 2017. He is an attorney who has experience in many different areas of the law. Prior to working at his current law firm, Stephen clerked at the New Hampshire Supreme Court. 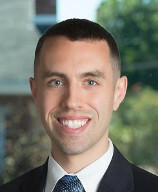 During law school at UNH School of Law, he also gained experience through several internships, including at the United States Court of Appeals for the First Circuit and the New Hampshire Attorney Discipline Office. Before law school, Stephen graduated from Colby College, where he majored in history and was a member of the soccer team.